Holy Prophet Muhammad (SAW) is the last Messenger of Allah Almighty on which the last sacred book Noble Quran revealed. Being a Prophet and Messenger of Allah (SWT), He (SAW) delivered the message of Allah Almighty, explained it and applied it to Himself and on His family. Muhammad (SAW) is the human being of excellent morals and character, so if we want to lead a successful life then we should follow the path explained by Prophet Muhammad (SAW). Allah Almighty says in Noble Quran about Prophet Muhammad (SAW) in these words: “You are indeed an exalted standard of character and morals“(Quran, 68: 4). So, if we actually want to lead a successful life we should acquire life lessons from Prophet Muhammad (SAW). Allah Almighty sent Prophet Muhammad (PBUH) not only to spread the message of truth but also to show the world the ideal way of living one’s life. 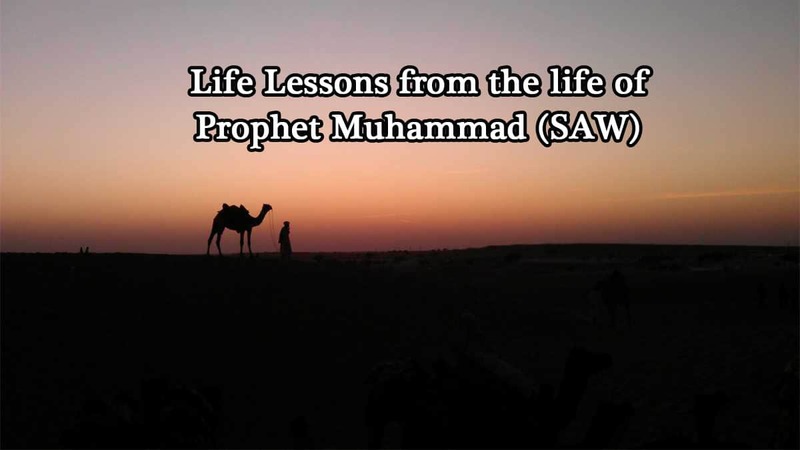 Life lessons that we can learn from Prophet Muhammad (PBUH) cover different matters of life, such as business, relationships, faithfulness and living together in tranquility. Below we have put together some life lessons that we all should follow to lead a fruitful life in this world and also in Hereafter. We learn to be kind, gentle, patient and tolerant just like Prophet Muhammad (SAW). 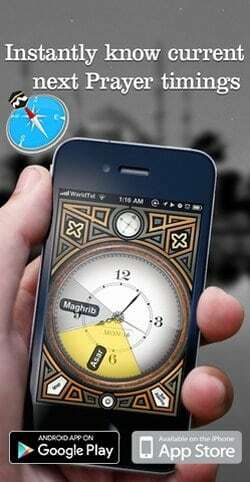 Spreading useful knowledge is the attribute communicated by the Prophet (SAW) on Muslims. Do good always even to those who offended you, give charity to the poor and help the needy without expecting any material reward in return just like our beloved Prophet Muhammad (SAW). The Messenger of Allah (SAW) had an excellent, complete and sound intellect. No man has ever had an intellect as complete and perfect as His. So we should follow Him if we want to live a successful and perfect life. One should think beyond narrow borders. Holy Prophet (SAW) said: “He is not one of us who calls for Tribalism/Nationalism, or who fights for Tribalism, or who dies for Tribalism.” So we should try to think beyond this no one is superior in terms of tribalism. One should be honest in trading or in business. Our beloved Prophet Muhammad (SAW) was very honest in conducting trade and in His day to day affairs. Live simple life with little regard to worldly possessions. Our beloved Prophet (SAW) adopted a simple and modest lifestyle. So we should also try to live a simple life without being so much involved in worldly possessions. Holy Prophet (PBUH) was a man of high spirits and lofty character. One of His sayings is, “Even a smile can be charity.” Muhammad (SAW) was always respectful of the old, caring towards the weak and loving towards the children. We all should behave just like Prophet (PBUH) in our lives.